Our Sunspace customizable products are built to extend the enjoyment of both your indoor and outdoor living space. Butler Home Improvement also owns Sunspace of Greater St. Louis. We are the only Branded Dealer in the St. Louis area. Create an incredible outdoor space which will leave a lasting impression on your friends, family, and neighbors with our Sunspace products. Butler Home Improvement/Sunspace of Greater St. Louis has partnered with Sunspace Sunrooms because they have built a reputation for quality and craftsmanship and are custom designed to fit the exact specifications of your home’s architecture and local building codes. 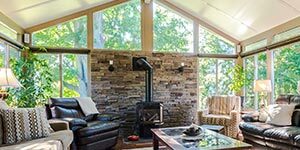 Our sunroom design is available in a variety of colors to best suit your needs; it has never been easier to convert that deck, concrete slab or porch into a new room for the entire family. 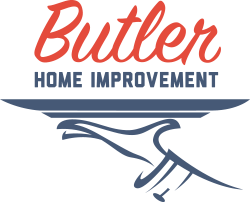 Butler Home Improvement proudly provides St Louis, St Charles, O’Fallon, Collinsville, Edwardsville, Belleville, and the surrounding areas with Sunspace sunrooms, screen rooms, WeatherMaster porch windows, acrylic roofs, railings, solar shades, and slide clears. Contact us today to begin! SunspaceSunspace provides a full assortment of quality products that will compliment your deck, your porch, and your patio space in your home. In addition to this, Sunspace porch enclusures, patio covers, and the glass and aluminum railing systems can be installed directly onto your existing patios, decks, and previously-constructed roofs. Contact us today to join the thousands of satisfied businesses and families enjoying the Sunspace experience!